Obituary for John F. O'Grady | Wyman-Fisher Funeral Home Inc.
John F. O’Grady passed away peacefully with his family at his bedside on January 26, 2019, he was 81 years old. John was born in Jersey City on September 11, 1937, to Joseph and Margaret (O’Rourke) O’Grady and lived most of his life in the Bronx. After serving in the United States Navy, John joined the New York City Police Department in 1959. He served the NYPD for 20 years, retiring from Manhattan’s 20 Pct. It was during his days as a young patrolman, walking the beat on the west side, that he met his beautiful wife Noreen. They soon married and together raised three children Patricia, Peggy, and Joey. After retirement, John worked as a bartender in many establishments across the Castle Hill and Throggs Neck sections of the Bronx. Known for his quick wit, a light of a smoke, and his ability to tell a good story (as well as an occasional tall-tale), John left an indelible mark on both neighborhoods. While a Bronx native, his affiliations included memberships at the Starling A.C. and the BPO Elks. 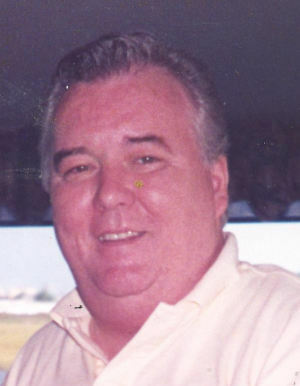 John was an avid NY sports enthusiast, never giving up on his beloved NY Mets or NY Giants. In 2010, John moved to Rockland County to be closer to his family. He joined the Rockland Shields and resumed his fraternal bond to the BPO Elks at the Pearl River lodge, where he will be sorely missed. He is predeceased by his loving wife Noreen since 2008 and his only son Joseph, since 2010. He is survived by his devoted daughters, Patricia Flynn and Peggy Doddy; his son-in-law Peter Flynn; his nine grandchildren: Meaghan, Allie, Mikey, Casey, Matty, Idamene, Olivia, John Anthony, and Thomas; his sister and brother-in-law Margaretta and John Curran, his sister and brother-in-law Helen and John Yandrasits, and both their families, which included several wonderful nieces and nephews. Visiting is Friday from 3 to 9 PM at Wyman-Fisher Funeral Home Inc. 100 Franklin Ave. Pearl River, NY. A Mass of Christian burial will be celebrated 10:00 AM Saturday at Sacred Heart Chapel, Sparkill, NY. Dowling Gardens, 190 Kings Highway, Sparkill, NY 10976 (Managed by the Dominican Sisters) or Seton Village, 148 Convent Road, Nanuet, NY 10954 (Managed by the Sisters of Charity), as John was lovingly supported by both organizations in his last years.